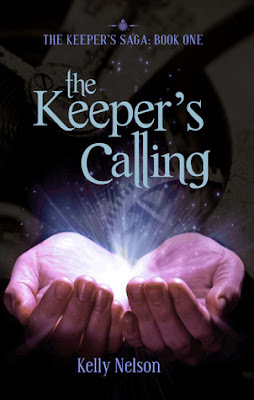 I just finished reading the absorbing, time-travel fantasy, The Keeper's Calling by Kelly Nelson. It is book one in The Keeper's Saga and was released February of this year by Walnut Springs Press. 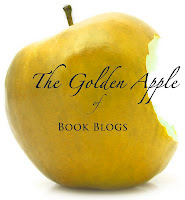 Please read on for my review and a mini interview with Kelly! Chase Harper's to-do list for senior year never included "fall in love" and "fight for your life," but things rarely go as planned. Tarnished gold and resembling a pocket watch, the counter he finds in a cave during the summer of 2011 will forever change the course of his life, leading him to the beautiful Ellie Williams and unlocking a power beyond his wildest imagination. In 1863, Ellie Williams completes school in Boston and returns to the Utah Territory only to discover that her grandfather and his counter, a treasured family heirloom, are missing. When Ellie is abducted and told she must produce the counter or die, an unexpected rescuer comes to her aid. Kelly Nelson has crafted an intriguing story of time travel and young love. Her main character, the teenager Chase Harper, grows and matures through the narrative, especially closer to the end when the tone of the story shifts and flows into something more tender. It's difficult to explain, but there is a change in the feel of the story and it happens organically. I was left wanting to know what happens next, not only with Chase and Ellie, but with a couple of the minor characters as well because Kelly's writing endeared me to them even in the brief moments they were present. The Keeper's Calling is a very engaging story overall with only a few places that dragged and only one scene that felt out of place. The writing is obviously edited well, being concise and to the point which moved, especially the action scenes, along nicely. As a reader, you can also tell that Kelly either did specific research for certain scenes or has specific knowledge that made its way into the story. I'm always impressed when I encounter this in books. Though there may be inaccuracies that I would have no idea were inaccurate such as historical things, but I trust that it all jives--it seemed all right to me. So if you'd like a time-traveling, teen love story to read this summer, with a main character you can root for, The Keeper's Calling is it. How many books will be in The Keeper's Saga, and what is their status? I always planned on it being a trilogy. The Keeper's Quest (Book 2) will be released in October. The Keeper's Defiance (Book 3) is currently scheduled for the summer of 2013. After reading the trilogy, my mom said all she wanted for her birthday was a few more chapters. The few more chapters turned into 48,000 words. So there might be a Book 4 in the works, but the story is complete as a trilogy. What are some of the places Chase will visit next? Book 2 opens with Chase returning to New York, 1817, then on to World War II Germany, as well as an unexpected trip back to Algonia. What food would you associate with The Keeper's Calling? 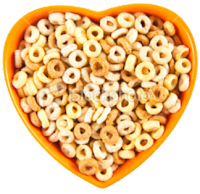 When I think of Book 1 foods, Honey Nut Cheerios and double fudge brownie ice cream come to mind since those were some of the first foods Chase introduced Ellie to. Chase pulled the ice cream out of the freezer, but I imagine Ellie, used to making things by hand, would try making it trying herself at some point. Click here for a double fudge brownie ice cream recipe! July 25, Wednesday, Lehi, Utah Costco 11a.m. – 6p.m. 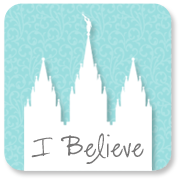 July 26, Thursday, Orem, Utah Costco 11a.m. – 6p.m. July 27, Friday, Lehi, Utah Costco 11a.m. – 6p.m. July 28, Saturday, Orem, Utah Costco 11a.m. – 6p.m. Thank you, Diana! I love how you presented the info. Enjoyed the interview questions, too. Never had to pick a food to go with a book before, how fun! :) Great post! Thanks, Kelly! I think it's fun to stick books and food together. Thank you for reading my review, Sandra! Fun interview, Diana! I love the food question; that's awesome! I think of Cheerios as well when I think back on The Keeper's Calling. I thoroughly loved reading this book! Yeah! 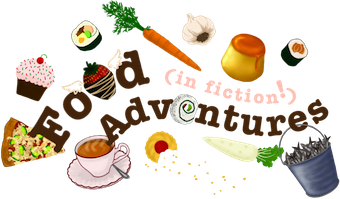 Food in fiction! I've been planning a symposium panel on the subject because I think that'll be really fun.